Some 5.000 years separate us from the birth of Ancient Egypt, in 3.100 BC. 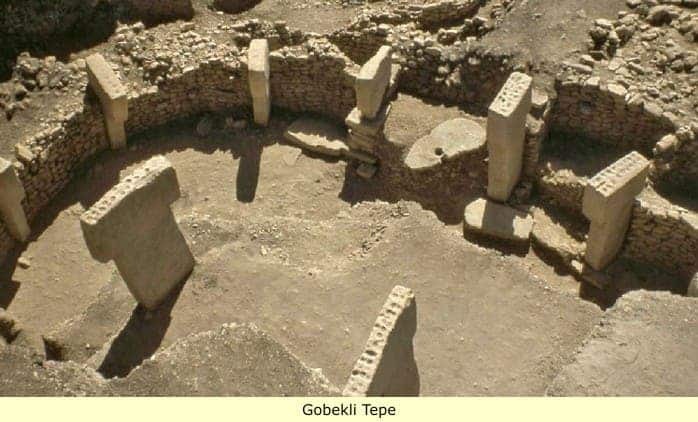 Add another 5.000 years, and you still haven’t reached the date when Göbekli Tepe was built. The temple (now in southern Turkey) took shape over 11.000 years ago, around the same time Plato’s hypothetical Atlantis goes under, 5 millennia before the world’s first civilization – the Sumer. 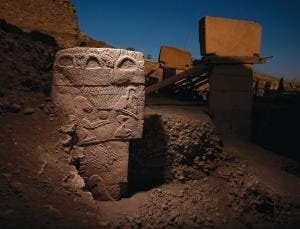 Göbekli Tepe is an incredible site consisting of at least 20 circular enclosures, each one surrounded by T-shaped stone pillars, some of which are decorated with carvings of fierce animals. Its archaeological significance is also huge – it is one of the strongest arguments against the Neolithic revolution – the theory that the invention of agriculture spurred people to build permanent settlements, developing civilizations and religion; there is no sign of agriculture near the temple or anywhere in the area at that time, so religion came before agriculture (at least in that area). “We have a lot of contemporaneous sites which are settlements of hunter-gatherers. Göbekli Tepe was a sanctuary site for people living in these settlements,” says Klaus Schmidt, chief archaeologist for the project at the German Archaeological Institute (DAI) in Berlin. So what was the purpose of the temple – which gods did it serve ? Giulio Magli, an archaeoastronomer at the Polytechnic University of Milan in Italy believes he may have an answer. Archaeoastronomy is basically the study of how ancient civilizations understood and used the phenomena in the sky, and what role did these phenomena play in their lives. This study all starts with a simulation of how the sky would have looked during that time – which is something fairly easy to do. As time moves on and millennia pass, the position of stars on the night sky change due to Earth wobbling as it spins on its axis. Stars can rise and set at different points, and can even disappear and reapper thousands of years later. 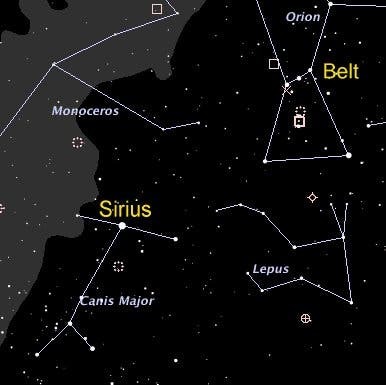 If you look at the night sky nowadays, Sirius is the brightest star in the sky. Orion’s dog, as it was called by the Ancient Greeks, was thought to affect dogs adversely, making them behave abnormally during the “dog days,” the hottest days of the summer. Sirius is so noticeable that its rising and setting was used as the basis for the ancient Egyptian calendar, says Magli. But at the altitudes of Göbekli Tepe, Sirius would have been below the horizon until around 9300 BC, when it suddenly appeared. It’s hard to give an exact timeline, but it is reasonable to think that the emergence of a very bright object in the night sky could have a big impact on people. To test this theory, he used existing maps of Göbekli Tepe and satellite images of the region, drawing an imaginary line running between and parallel to the two megaliths inside each enclosure. Three of the excavated rings from different periods aligned with the points on the horizon where Sirius would have risen in 9100 BC, 8750 BC and 8300 BC. Still, the results are preliminary, and this is a little stretch – he hasn’t yet used a theodolite, a device for measuring horizontal and vertical angles, which would provide more accuracy to his claims. It’s even possible that the structure was actually covered, in which any astronomic significance would be eliminated. Still, in the likely case that the structure had no roof, this is definitely a good theory, and so far, one of the best we have.